Singer and writer Robert Krestan (1991-present) has been recognized with numerous honors in his home country in both bluegrass and country music. He has been "Male Vocalist of the Year" at the Banjo Jamboree Festival numerous times and has been awarded "Country Artist of the Year" by the Czech Music Academy on several occasions. He is a contributing writer for two Czech music publications, Folk & Country and Melodie, and has published a book of poetry and short stories, Napsal Jsem JmÃ©no Svy Na Zdi (I Wrote My Name on the Wall). He has also translated a number of American novels into Czech, among them, William Eastlakes´s "The Bamboo Bed" (in Czech: Umirali jsme v bambusu) and Jim Harrison´s "Legends of the Fall" (in Czech: Legendy o vasni). 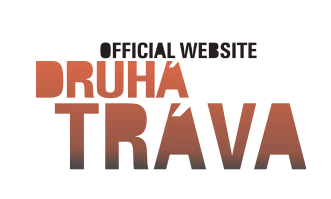 Robert is co-founder of Druha Trava, along with Lubos Malina. Most recently, he was awarded "Best Male Vocalist" by the Bluegrass Association of the Czech Republic for both 2005 and 2006.